Does Teamwork Come Naturally To People? Most of us work with others either by partnering across functions as we perform our roles, or sometimes participating as members of teams. And, we do it without benefit of training. Does teamwork come naturally to us? Or is training essential to build high performance in teams? Bruce Tuckman, famous for his studies on group dynamics that culminated in the 4-stage model of team development introduced in the 1960s, believed that teams with education on teamwork and team development far more quickly progress, and achieve higher performance than those without training. What do you think? • Forming – the polite, handshake stage when people initially come together as a group. In this stage we gently test the boundaries for roles and behavior by trial and error. We’re dependent on the team leader for direction and guidance. We’re just getting to know each other. • Storming – once we begin to do work together, we experience disruption as conflicts arise. We have emotional reactions to one another’s behaviors, we disagree on who does what, and we have differences as to how things should be done. We are dissatisfied with our fit as team members. Some groups get stuck in Storming and fail to reach their potential or even to achieve the team goals. • Norming – this is the stage in which team members work through conflict. Norming requires listening, negotiating and problem-solving skills, and an open mind to find mutually agreeable solutions. • Performing – once the group develops momentum through Norming, they can Perform. Performing is a milestone, a point at which a group has become a team. Team members focus on achieving the goal together. While Tuckman’s four stages appear at first to be linear, we have discovered that they are experienced iteratively. For example when a team member leaves the group or when someone new joins the team, the team needs to repeat forming, storming and norming to get back to performing. 1. Build relationships. A team member who doesn’t take the time to connect well with others will fail. Invest time getting to know them, listening, eating with them. Learn what matters to them. 2. Sustain trust. Never participate in gossip. Trust must be earned through honesty, integrity, dependability, and genuinely caring about people. 3. Do your very best every day. Take responsibility for continuously learning and improving your knowledge and skills. Enable people to count on this. 4. Use your strengths to contribute to the team effort and to help team members. 5. Affect the team positively by bringing passion, joy and energy to the team. Make your interactions positive by giving genuine praise, encouragement, respectfulness and smiling. This contributes to the mood, morale and performance of those who work with you. Remember that negativity is toxic. 6. Put the team first; work hard, serve the team, and give credit to the team. 7. Hold yourself and others accountable, respectfully. Team members share closer bonds and deeper concern for one another’s well-being and success than do members of groups. 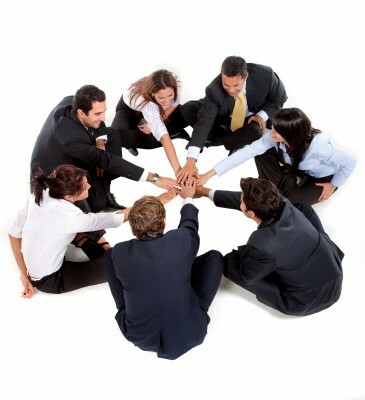 And, the success of the team depends on the success of each member. When teams disperse the pain of loss members feel is so prevalent that Tuckman added a fifth stage: Adjournment. When have you experienced this kind of loss? Leading a team requires specific skills, different skills than are needed to lead a group. Being a team member also requires skills and behaviors not critical for effective groups. As we reflect on these thoughts, new questions arise. One thought question you may want to ponder is this: How can we as team members and team leaders better enable people to build great teamwork?